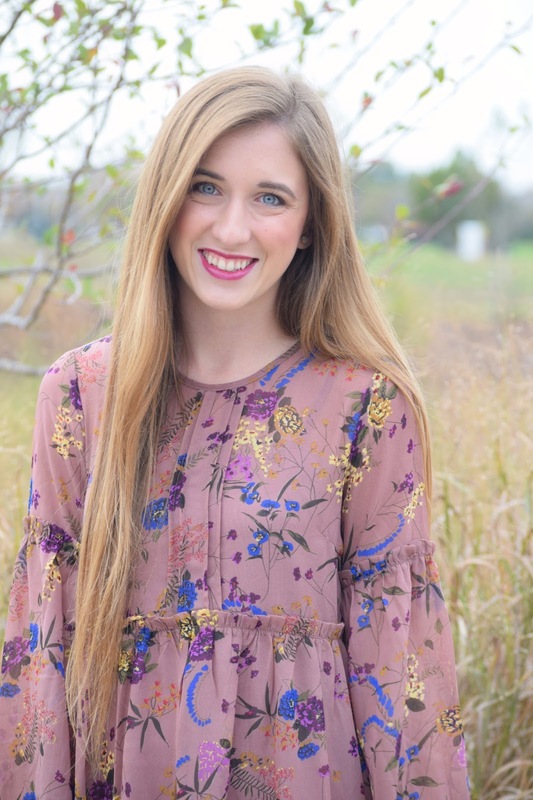 I love anything light and feminine fall, and with this beautiful floral pattern I simply couldn't pass it up! Also, this dress would be another great option for a Thanksgiving outfit! 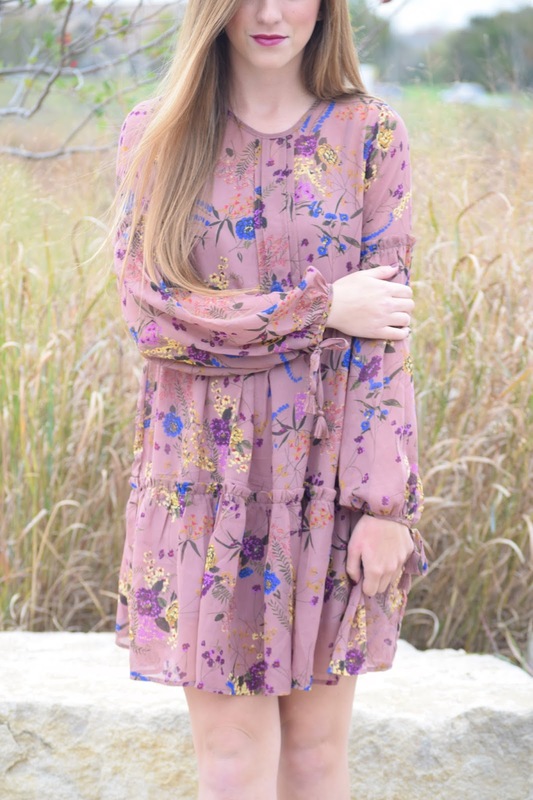 The babydoll cut and tiered layering of this dress is adorable, and the little tassel ties on the ends of the sleeves a fun a finishing touch! I tried to keep the accessories very minimal since the dress can clearly speak for itself. Also, when it's cooler outside, you can throw on an oversized cream cardigan for a slouchy yet cute fall look. I don't know what has been up with me lately, but I have caught an extreme case of the travel bug. I have just been feeling this dire need to get away all of a sudden, and there has been no stopping it! Although, I am super excited to go home this weekend for Thanksgiving break, so hopefully spending some time with my family and cat will help!